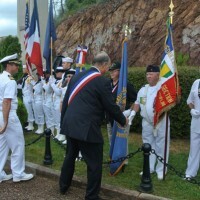 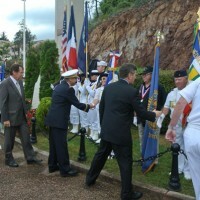 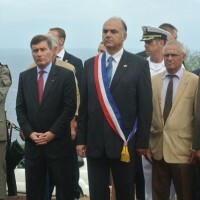 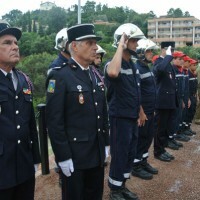 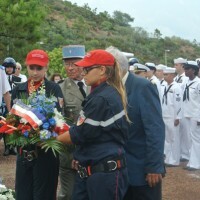 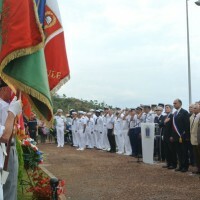 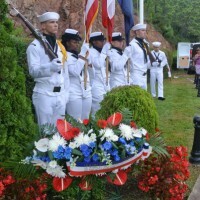 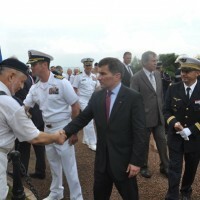 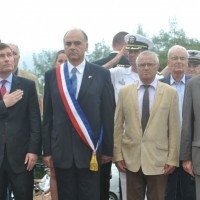 The Mayor of Theoule Daniel Mansanti presided over a moving remembrance ceremony honoring fallen soldiers on the liberation of Theoule at the Croix de Lorraine, in the presence of Mr. Charles H. Rivkin, Ambassador of the United States of America in France. 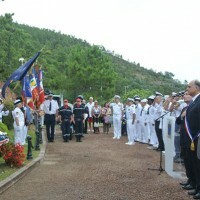 “Nancy has a stiff neck” and “The hunter is hungry” are coded messages broadcasted by Radio London to the attention of the Resistance on August 14, 1944, to prevent the French Forces of the Interior (FFI) of the imminent landing in Provence. 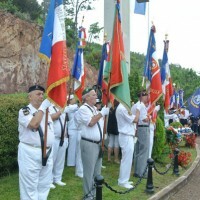 While the German General Staff expected it to take place on the Italian Riviera, on the night of the 14th, the Allied fleet, gathered off Corsica, suddenly rushes towards Provencal coasts. 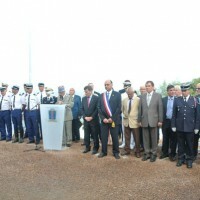 The “Dragoon” operation is launched. 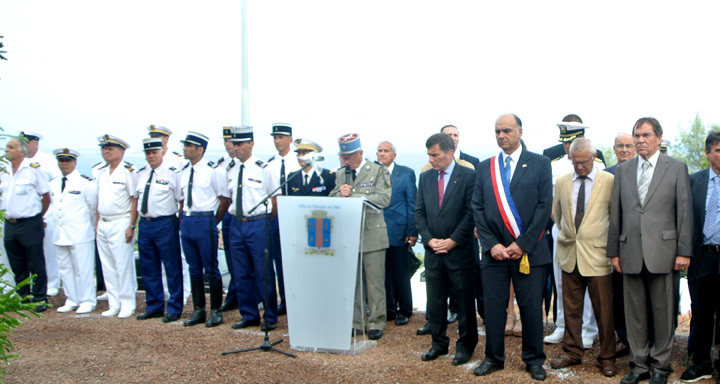 The German batteries of islands of Port Cros and Levant are neutralized. 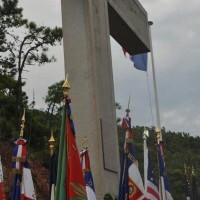 At 4 am, 5,000 paratroopers were dropped over Le Muy and La Motte they liberate. 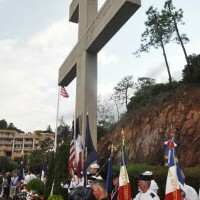 At 8 am, the first American soldiers and French commandos take up over 70 km of coastline between Cavalaire and Theoule on three beach areas whose code names were Alpha, Delta and Camel. 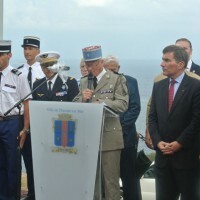 But alas, once ashore, the operation turns into a nightmare: halfway to the coast and the main road, the commando meets a minefield laid by the Germans a few days earlier. 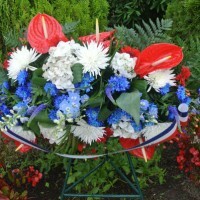 9 men were killed, 17 were wounded, the others are nailed to the ground, blowing up mines as they move. 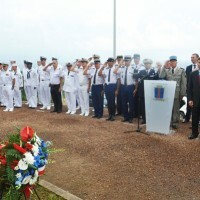 In all, 11 officers, noncommissioned officers and sailors gave their lives on the Theoulien soil to the motherland, 19 are wounded and 27 taken prisoner. 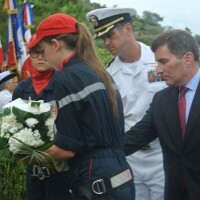 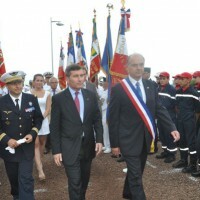 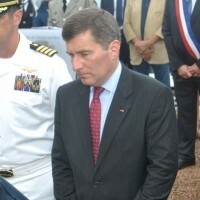 As a tribute to the French and American soldiers killed in fields of honor, the Mayor of Theoule had invited Mr. Charles H. Rivkin, Ambassador of the United States of America in France on the site of the Cross of Lorraine, symbol of General de Gaulle. 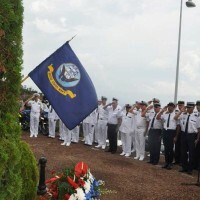 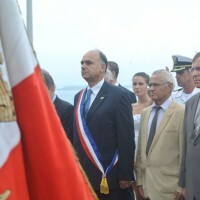 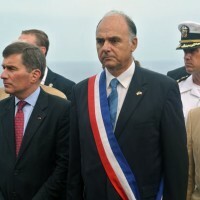 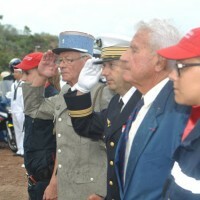 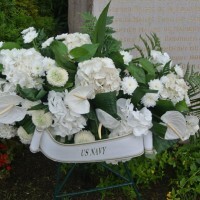 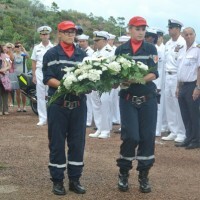 The sacrifices and heroism have been recalled by the Honorary Captain Michel Raymondie, President of the Union Nationale des Combattants (National Union of Servicemen) section Theoule-sur-Mer, who called for a special thought for all people of all nations and all combined armies who landed on the coast of Provence on August 15, 1944, for our freedom. 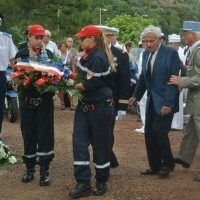 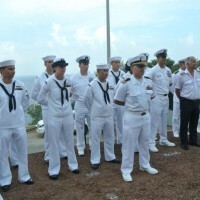 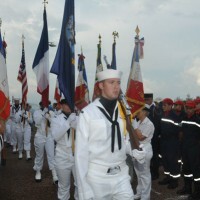 Michel Raymondie then proceeded to call the names of the fallen soldiers, so that they remain forever in our memories. 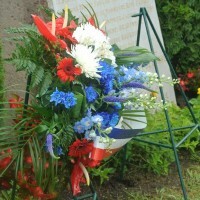 Only memory, as opposed to passing time, can recall the values that animated these men and brought them to the supreme sacrifice. 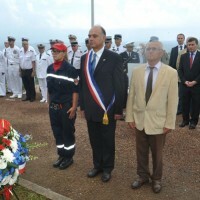 They put their ideals and their courage in the service of the liberation of our country, in the service of democracy. 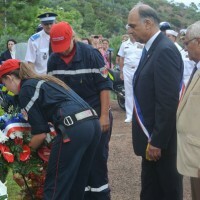 Since then, the town of Theoule is present each year at the rendez-vous of remembrance and honor.